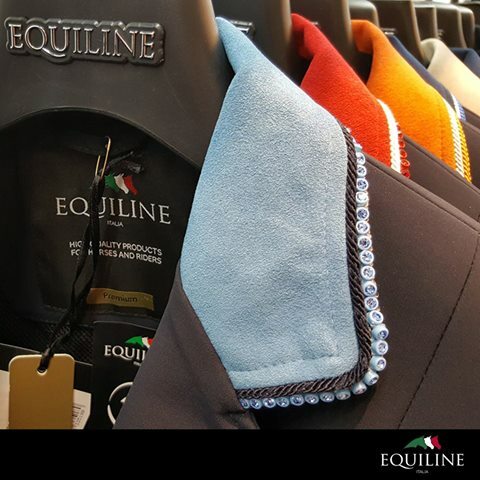 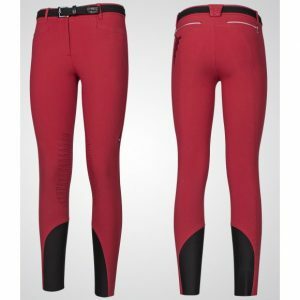 The Equiline Gait Competition Jacket is elegant, sleek and highly flattering due to the Italian style and modern design. 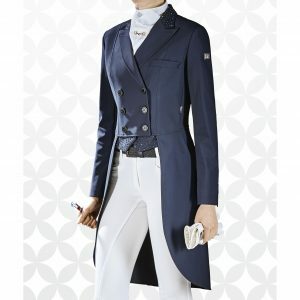 This Competition Jacket is made from the revolutionary and technical X-Cool Evo fabric, offering the rider exceptional freedom of movement, whilst remaining water repellent and wind proof. 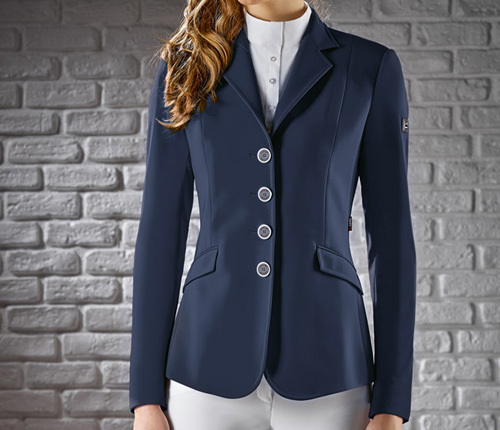 The beautiful tailoring, technical features and the possibility to personalise makes The Gait competition jacket the perfect choice. 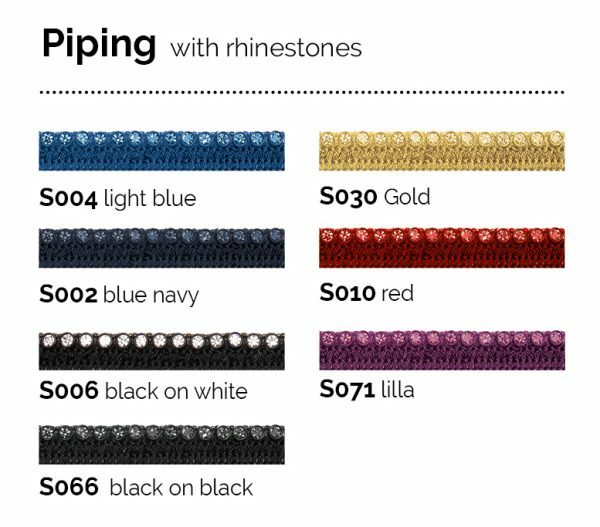 The Equiline Gait is available in Navy, Black, Royal Blue, Brown, Grey, Bordeaux, Red & Bottle Green and can be personalised in more than 700 different ways. 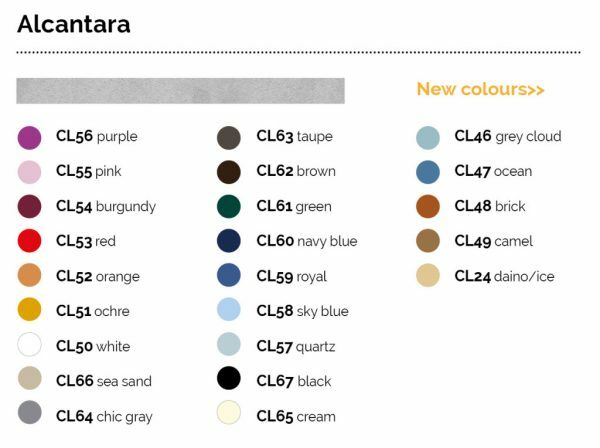 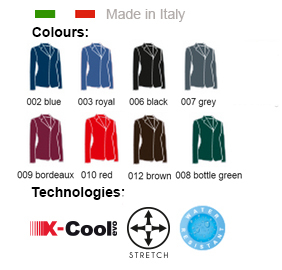 Collar & Pockets: Chose from 25 different colours of Alcantara or Satin. 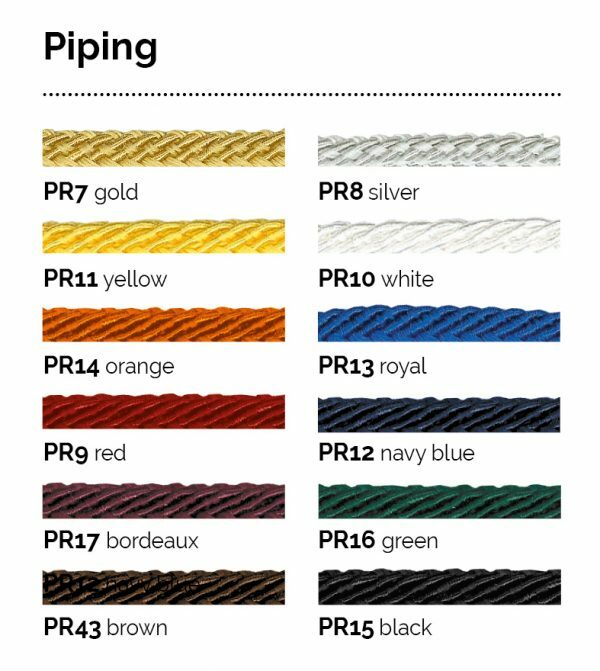 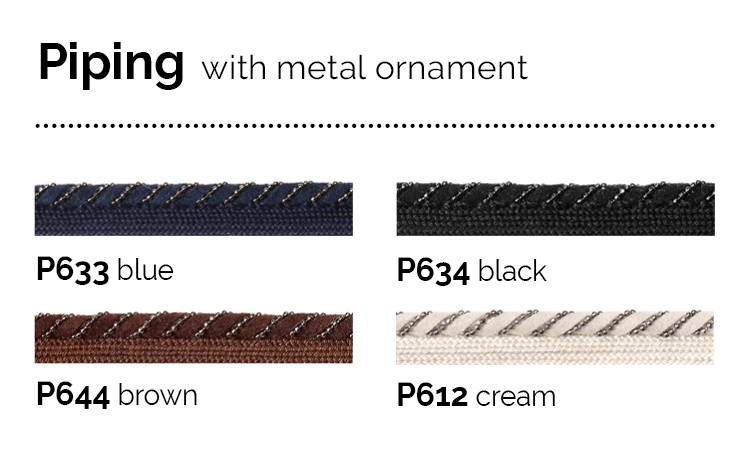 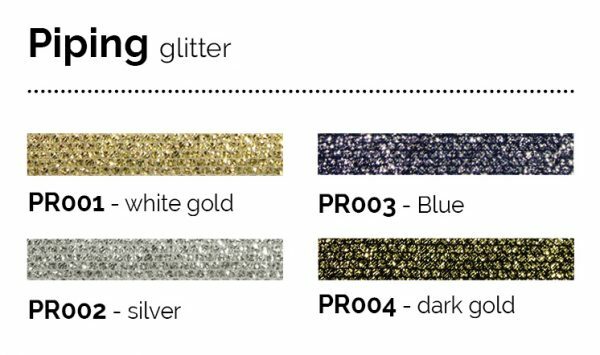 Piping: Chose from 27 different piping colours including Rhinestone and Glitter. Up to two Piping options available. Buttons: The Gait comes as standard with Black/Silver buttons – Buy an extra button set for £80. 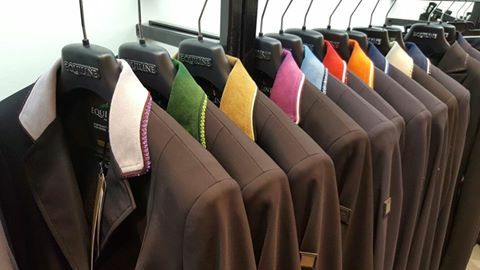 Special colours (Bordeaux, Royal Blue, Red, Brown, Green and Grey) and customisation on the Gait Show Jacket have a 5 week wait time. 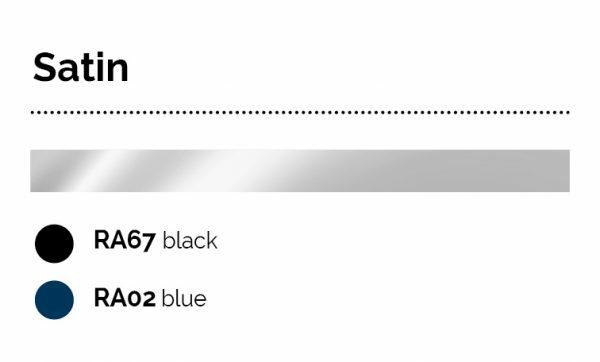 Navy & Black are available immediately. 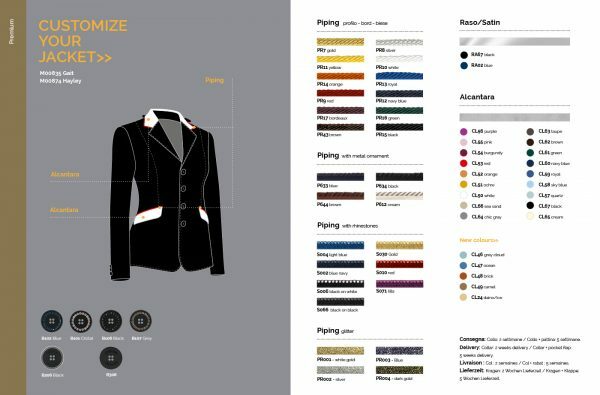 Please do not hesitate to contact us for exact wait times or assistance in designing your dream competition Jacket!